LG is a company that just gets how to make front-load washers. The LG WM3500CW (available at Home Depot for $698.40) is a shining example of a washer that's affordable while still covering all the bases. It bridges the gap between people who set it and forget it, and those who want to micromanage their laundry. 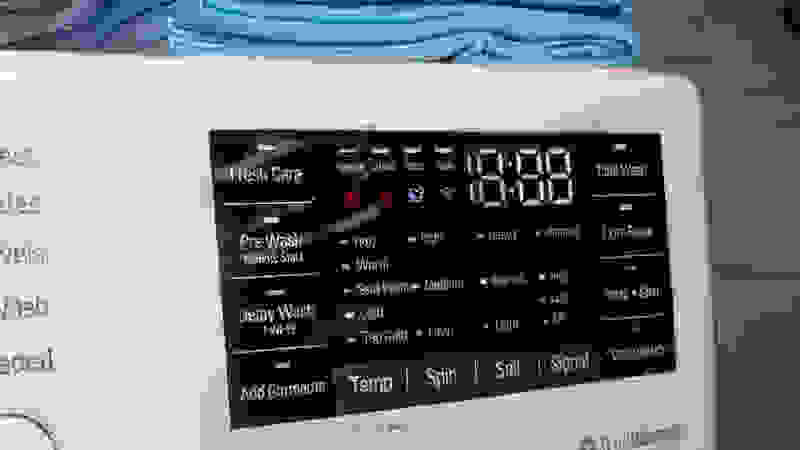 You can rest assured the preset options will provide an excellent clean or you can fiddle with the cornucopia of options. You may be able to find a front-loader for a lower price, but it's doubtful it'll be as feature-laden as the WM3500CW. The LG WM3500CW doesn't cost a lot, but gives plenty. • 4.5-cu.-ft. capacity. Large enough to accommodate a family of four's clothes or a king-sized comforter. • 29 23/32" x 41 27/32" x 31 17/32" (WxHxD). The WM3500CW is two inches wider than most washers, but also two inches shallower, allowing it to fit into laundry closets. 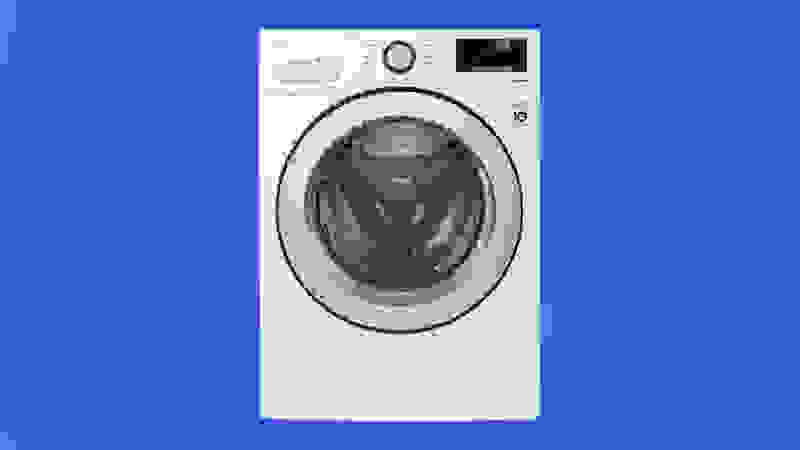 • 10 Cycles: Normal, Permanent Press, Heavy Duty, Delicates, Towels, Speed Wash, Bedding, Tub Clean, Whites, Downloaded. Downloaded cycles are found on the app, which allows users to search LG's database for cycles that match their needs. • Compatible with LG SideKick. The SideKick is a pedestal that goes under the WM3500CW and serves as a secondary mini-washer. • Works with Google Assistant. You can start your washer with the sound of your voice. The LG WM3500CW excelled at stain removal, earning high marks across all the cycles we tested, and removing about 75 percent of stains on the Normal cycle. That places the WM3500CW in the top 25 percent of all laundry machines that have passed through our doors. The Heavy Duty cycle scored even higher than that, removing 81 percent of all stains. The 4.5-cu.-ft. drum is covered in bubbles that help with cleaning. Aside from the wash performance, we liked how customizable the WM3500CW can be. On every cycle, save for Whites, you can activate the ColdWash feature. Washing laundry in cold water is a great way to reduce energy costs, help the environment, and even to help keep your colors from fading. The only downside is that it increases cycle times, but we think it's worth the wait. The WM3500CW comes with options like Fresh Care and ColdWash, which make it a versatile machine. For those who can't sit around waiting for their laundry to finish, there is the Fresh Care feature, which allows you to do laundry on your terms and without worrying about ruining your clothes. Press the button and the drum will continue to tumble up to 19 hours after a cycle has finished—preventing wrinkles and a musty smell. 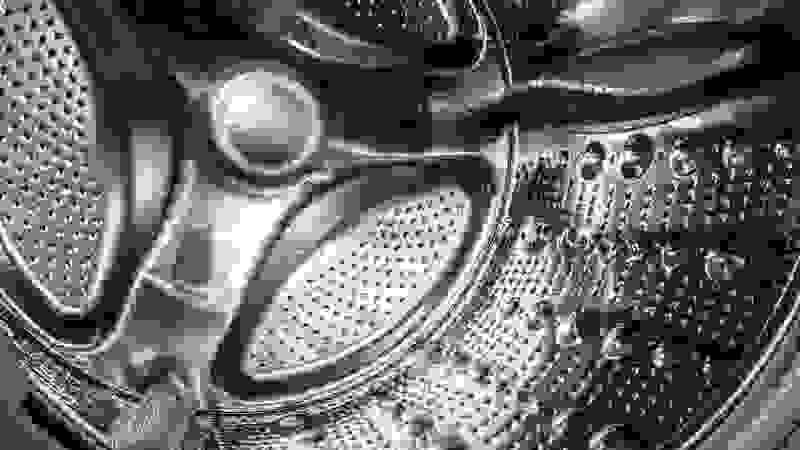 Speaking of musty smells, one of the top complaints about front-loading washing machines is that the drum can develop mildew and malodors. To address this, LG has added a magnetic stopper to the door that keeps the door ajar without getting in your way. The small gap lets excess moisture evaporate, stopping odor-causing microbes from multiplying and causing problems. The LG WM3500CW comes with 10 cycles, but only eight of them clean clothes. 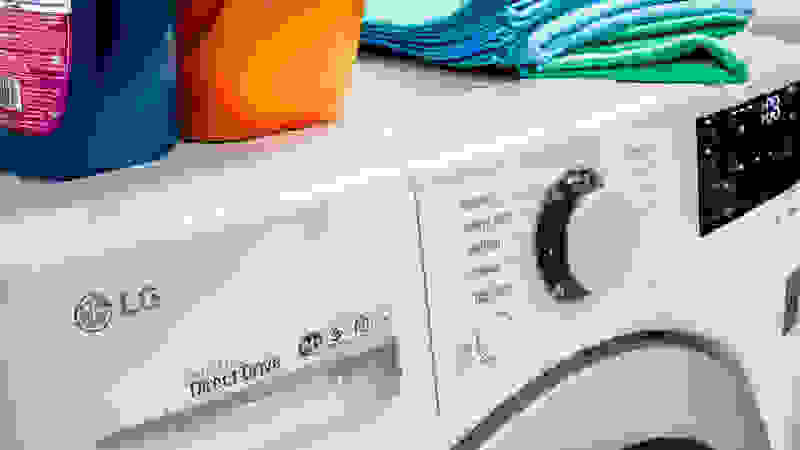 While we think the LG WM3500CW is a great washer, it has a few faults that keep it from claiming the top spot. First, it lacks an internal water heater. No water heater equals no sanitize feature or Allergiene cycle. We also weren't a fan of the slow cycles. A 62-minute Normal cycle isn't outrageous but it's disappointing to see from a company that has machines that finish a full-sized load of laundry in 30 minutes. 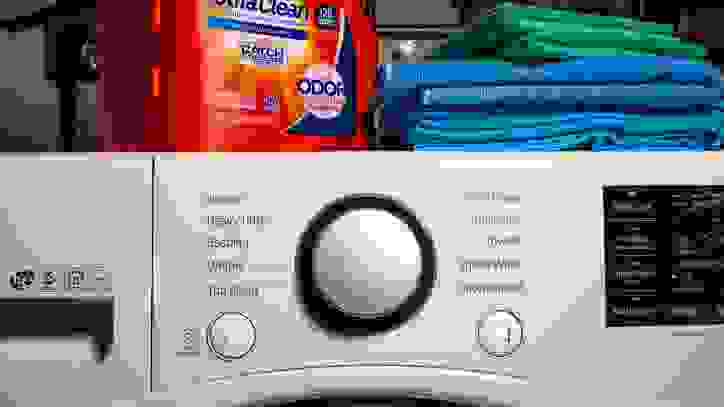 Should you buy this washing machine? If you're thinking about getting a front-loader to put into a laundry closet, you should definitely consider the LG WM3500CW. What it lacks in speed, it makes up in thoroughness. The stain-removal ability of this washer impressed us, and its myriad of wash options and features delighted us. In the sub-$700 price range, you'll be hard-pressed to find a better washer.